After the Cubs lost two straight games at Wrigley Field to give up the NL Central Division title and fall in the wild card game to end the 2018 season, reasons as to why a 95-win season finished short of equaling expectations began to surface. 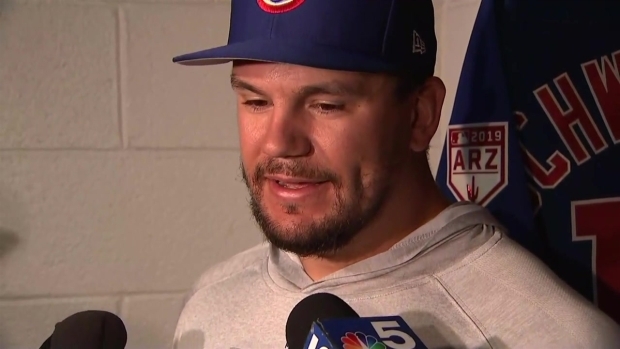 One that was echoed by the front office and the players was the level of leadership that seemed to walk out of the clubhouse with David Ross' retirement after the 2016 World Series. "I think they made it clear to everybody," starting pitcher Jon Lester said Wednesday about the front office's belief there was a lack of leadership. "I think they hit the nail on the head." 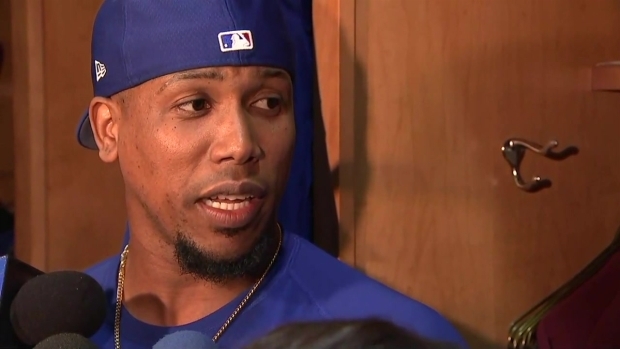 Some observers aren't too high on the Cubs' chances this season, but pitcher Pedro Strop doesn't care. It's that kind of pedigree that is respected in the game, and it gives him leeway to have a voice in the clubhouse during the latter years with the Cardinals (2011-14), and then with the Rockies (2015-16) and Diamondbacks (2017-18). 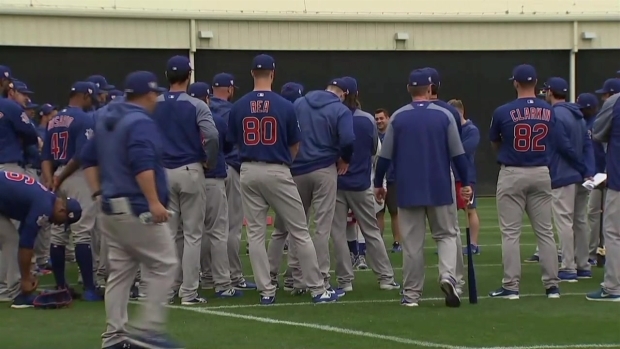 The Chicago Cubs warm up prior to practice on February 14 in Arizona. "I've been the new guy in the clubhouse a couple of times," he said. "If you come in and you are the loud guy and start ruffling feathers right away then you can put some guys off. You have to feel your way out the early parts of spring training and into the season and then you can really get a feel for the team and the clubhouse. "There are a lot of accomplished players in here. It's why they have been successful the last few years and why the expectations are high. Its's not like I'm coming to a team full of rookies." "I am so thrilled we got him," Maddon said. "He is a good baseball player. This is old school scouting to understand how good Daniel is." 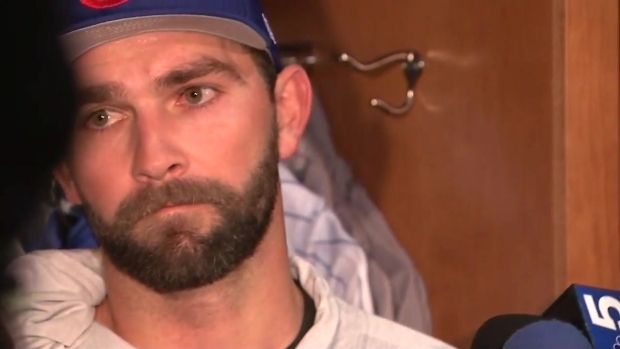 Cubs pitcher Tyler Chatwood discusses his goals for the upcoming season. 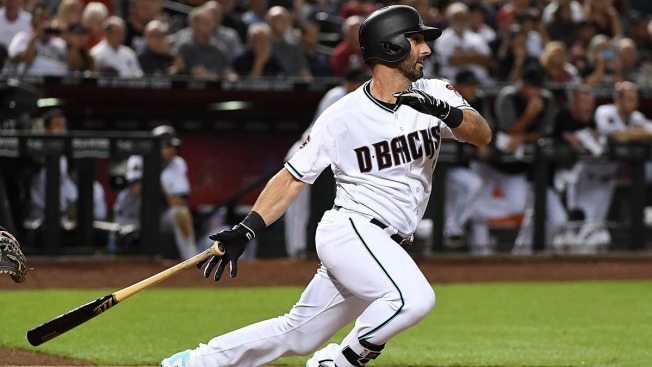 "I'll be myself and get to know the guys and get to know my way around the staff," said Descalso, who signed a two-year, $5-million deal in December. "I have to go out and make plays and lead by example at first. It is about building that trust. A lot of these guys don't know me very well. You try to get know those guys on a personal level and then you develop that trust. "When you do speak or pull them aside you have already developed that trust so it is easier to get through to them." "I always thought when you got a guy like that it lengthens your bench during the game," Maddon said. "He also provides an opportunity to rest people because you don't feel like you are losing anything by putting this guy in the lineup." "My job for a lot of years now is to mix and match, be a puzzle piece and just fit in and do something to help us win that night where it is off the bench or starting," he said. "That's not new to me and it is something I am used to and comfortable with. "I take pride in the fact that I could do that."